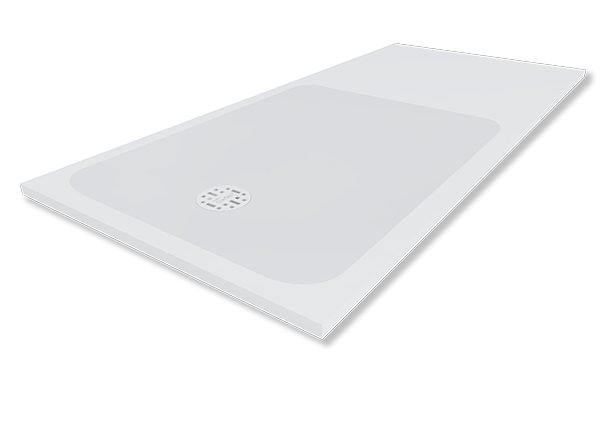 The Corian Smart shower tray is available in 12 models that can be easily customised, virtually covering any length between 80 x 80 cm and 80 x 200 cm, and 90 x 90 cm and 90 x 200 cm. At Counter Production, we can integrate these cast shower trays and combine them in your designs. 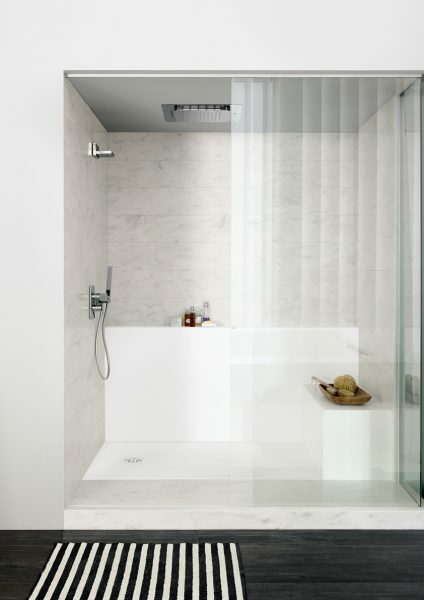 Add Corian cladding to the shower cubical for that floor to ceiling seamless look. 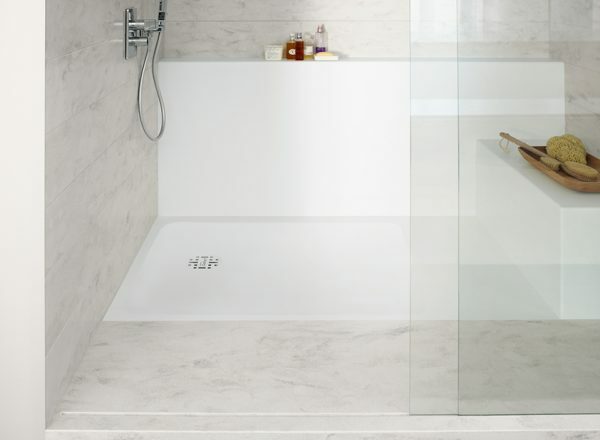 As well as showers, we make and manufacture solid surface bath surrounds, bathroom wall cladding and flooring among many others. 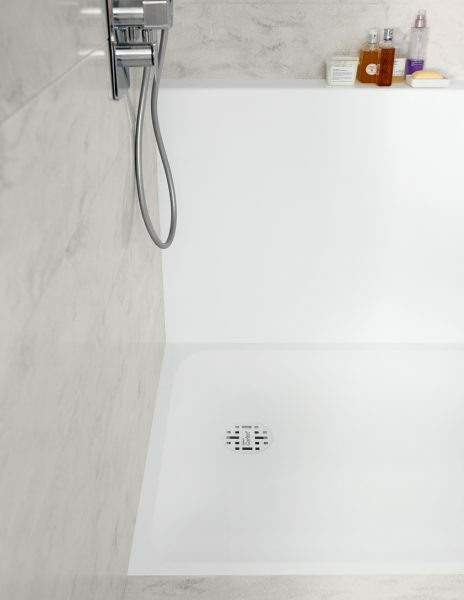 These shower trays are made with a casting technology, using a composite material made with acrylic resin and aluminium trihydrate. 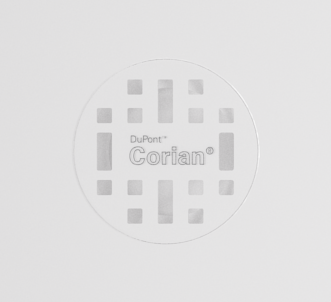 This material offers excellent resistance to thermal shock, stains and chemical agents. They have good aging properties and low VOC emission. Light, superficial scratches are repairable. Corian® Smart shower trays can be combined with shower panels made with any colour or Corian®. All available in Glacier White Corian®. For information on the weights of each product click here.